Ok, so the old saying is true…”time flies”…it really does. Those first unsure days of school, when we don’t really know each other yet, seem so long ago. The amount of growth we see in a single school year, with three year olds, is astounding. Besides the physical growth, the confidence they gain is really amazing. Many start the year with separation issues. You know what I am talking about! But with gentle nurturing patience, we see the concern begin to slip away, and be replaced with love of school and friendships. 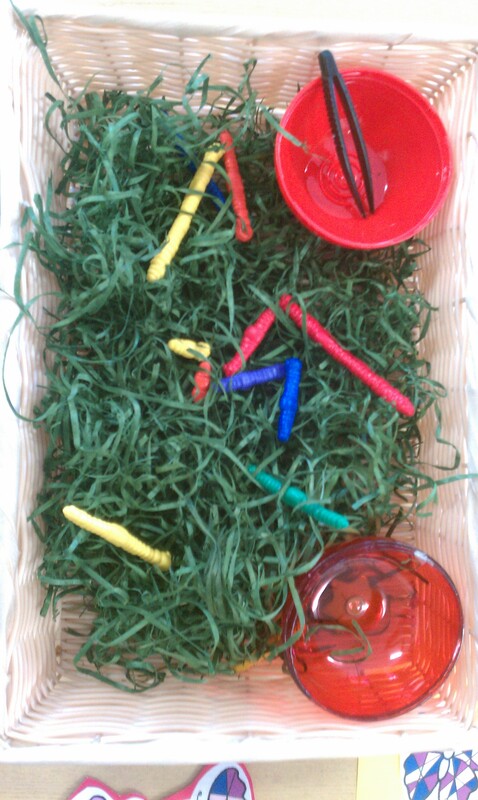 This is the joy of being a preschool teacher. I am not sure our students quite understand what I am talking about when I say “we only have three more days of school left!” I want to talk about it a little bit, just so it is not a big shock when school actually is done. Most will move on, a few will be repeating their first, or junior year. To end our year together we looked at and explored butterflies, frogs, life cycles and growing. Yes! We went buggy (and froggy) on our last few days of preschool. Our real butterflies emerged from their chrysalis just in time to let them go before the end of school. What a fun activity, and quite poignant. Our children certainly have grown their own beautiful wings this year. Play, Learn & Do has a Teacher Pay Teacher store! There are free printables there, check it out! PreKinders – my favorite go to for ideas and resources, an amazing website! So well organized by themes and chock full of good stuff! Preschool Mom – many many good printables! 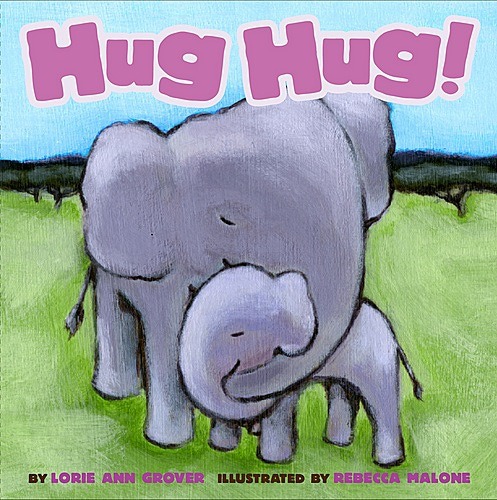 Here is a little song I made up to sing along with the pictures…. He grew some legs, and crawled up on the ground. And that little bitty tadpole was now a BIG green frog! We had this activity at our math center too. I figured the children could hunt for the bugs, pick them up with tweezers, count them, sort them or what ever they liked. Some children did do this, and it was great. Actually picking them out of the paper grass was pretty challenging. Some children would grab all the bugs and take them to the kitchen. More than once we found all the bugs and worms in purses in the dress up area. I think it was a fun and useful activity idea regardless! 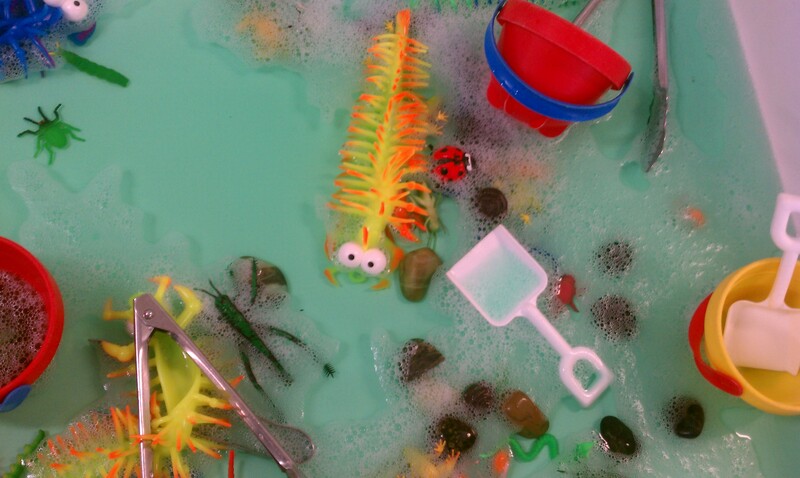 We also “went buggy” in our sensory tables – a super easy spot to add bugs! These squishy, stretchy bugs were from a dollar bin. They were fun, but after a couple of week long uses in water they became sticky and I think, started to deteriorate a bit. Oh well, for next to nothing we had at least two fun weeks with them. Bug and insect art is a boundless category. There are so many possibilities. We made bugs using the left over circles cut out from paper plates (from a previous project). The children folded the circle in half and used dot stampers and pipe cleaners. 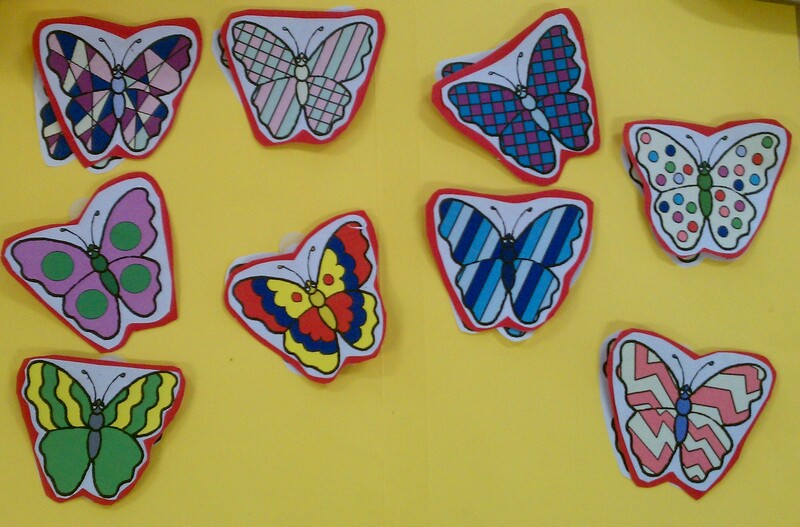 We also made “butterfly wings” by painting with puffy paint on one half of a folded sheet of paper – then folding over the over half and rubbing. This created the mirror image and when unfolded, reminded us of wings. All over various blogs and Pinterest you can see this project. 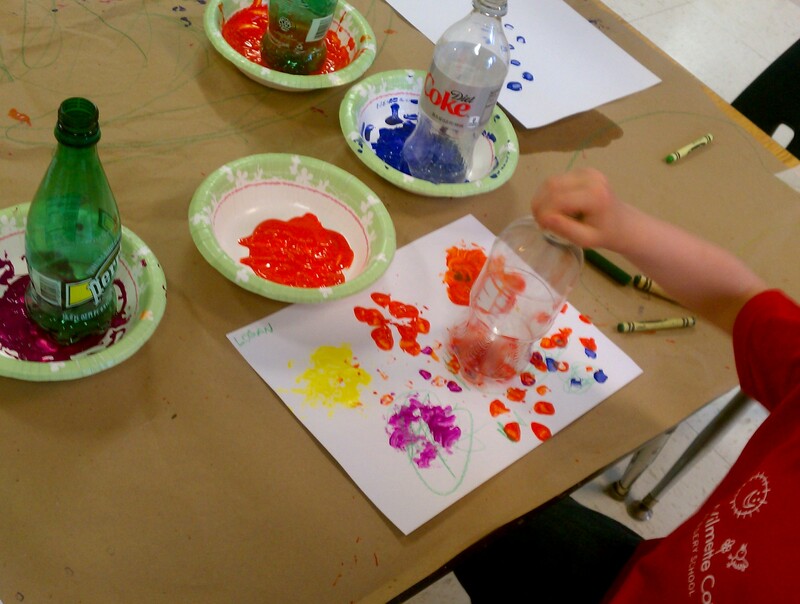 Simple bottle printing flowers is interesting for the children to try. Insects need flowers, right?! We had plant life cycle materials around so this project made sense. Many different drink bottles have a “flower” on the bottom. It’s fun to look for them in the grocery store. You will be surprised how many do! 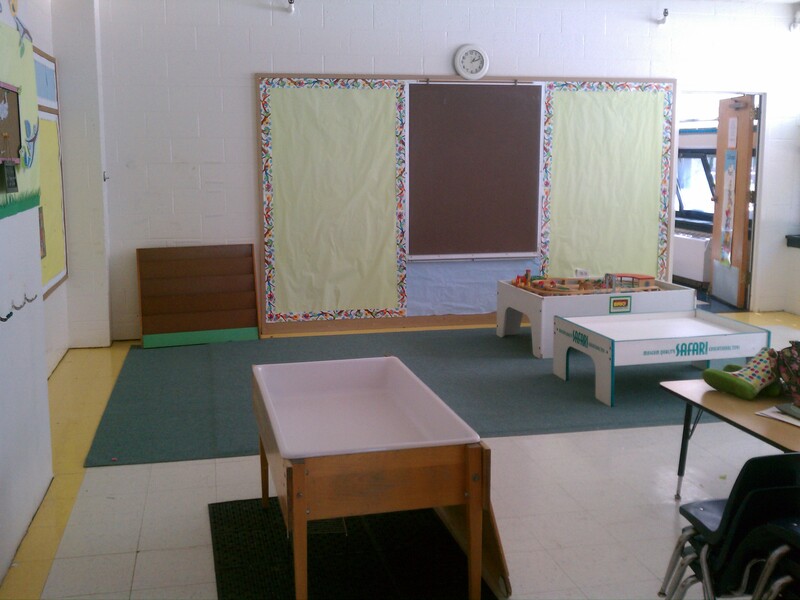 This summer I will keep researching new classroom ideas and will post my experiments here. 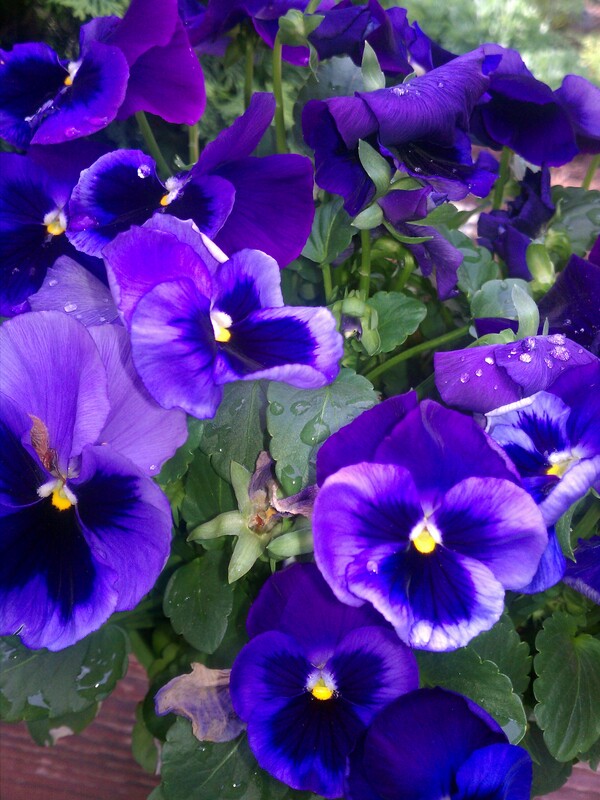 I am so happy it is summer – aren’t you?! Here’s to lazy days in the sun and happy days with friends and family. The summer will fly by too (just like our school year) so enjoy every moment you can. Best wishes! See you next month….